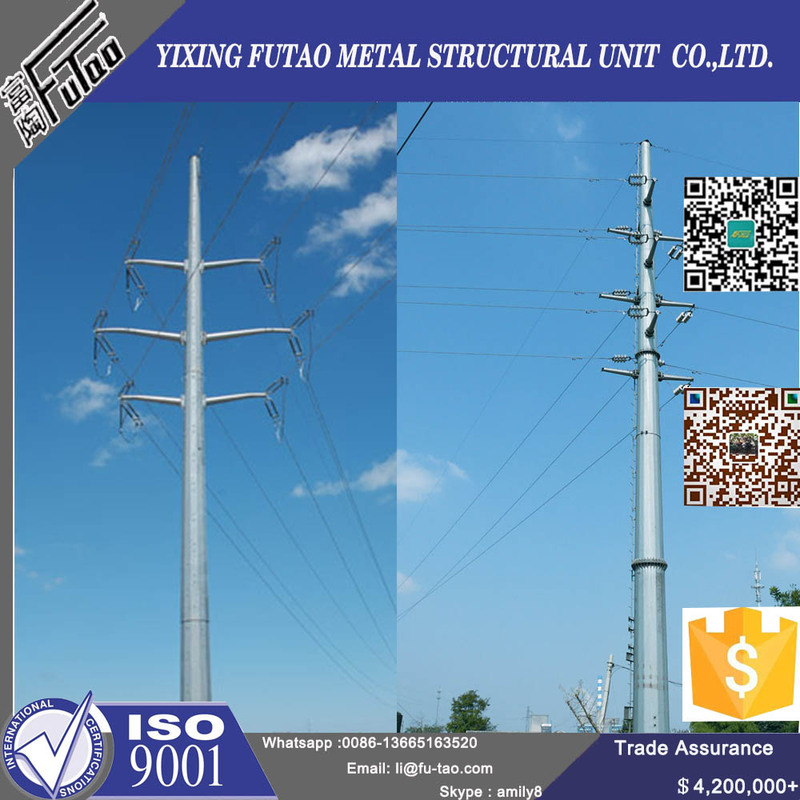 Steel tower,Steel Pole,1000kv and under electric angle steel transmission line tower, electric power transmission tubular tower,electric transmisssion steel pole/monopole,lattice angular tower,substation/railway steel structure and related steel structure. 1. The operational wind speed of the region where the Tower will be use, 2. The Antennas loading of the Tower and at what height ? 3. The Total height of the Tower itself. 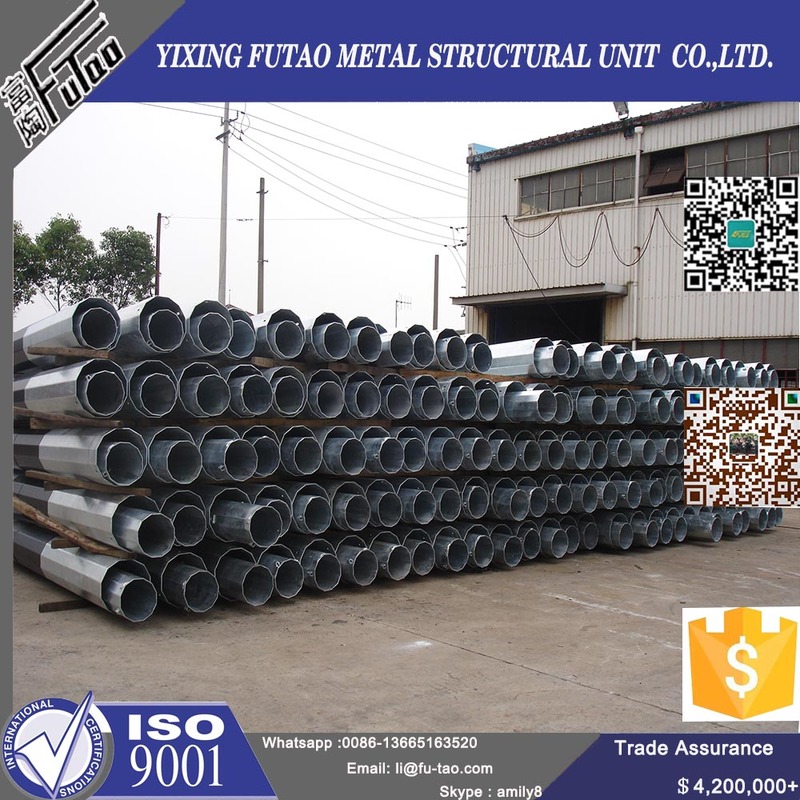 Hot dip galvanized Following ASTM A123, color polyester power or any other standard by clients required. 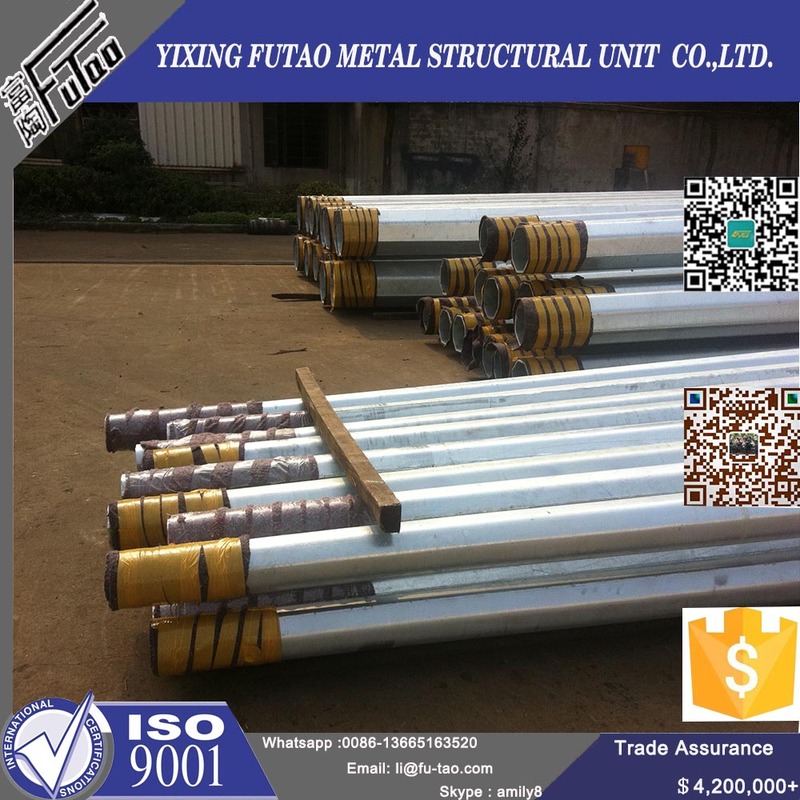 Our poles as usual are covered by Mat or straw bale at the top and bottom ,anyway we can also follow clients required , each 40HC or OT can load pieces according to calculation which bases on the clients` actual specification and data. A factory certificate issued by the factory with stamp and signature must be provided before unloading the material in our factory , otherwise we have rights to refuse. 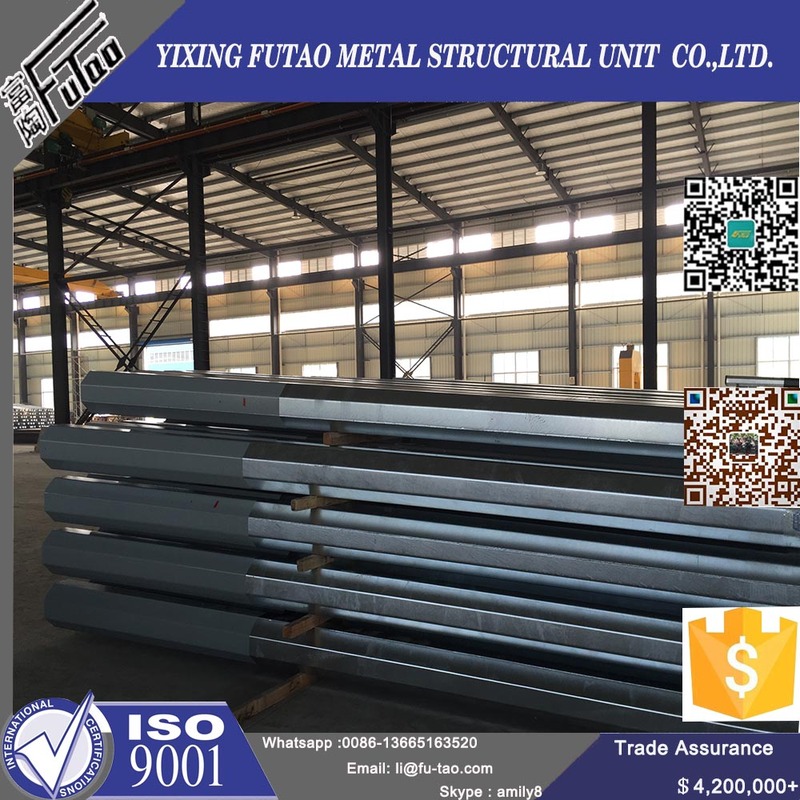 Before put into production , all the material must be passed the chemical and physical analysis to make sure that they have met the requested strength and component. We have completed many big and important projects all over the world and win the trust from our clients. Looking for ideal Transmission Tower Manufacturer & supplier ? We have a wide selection at great prices to help you get creative. All the Electric Power Transmission Tower are quality guaranteed. 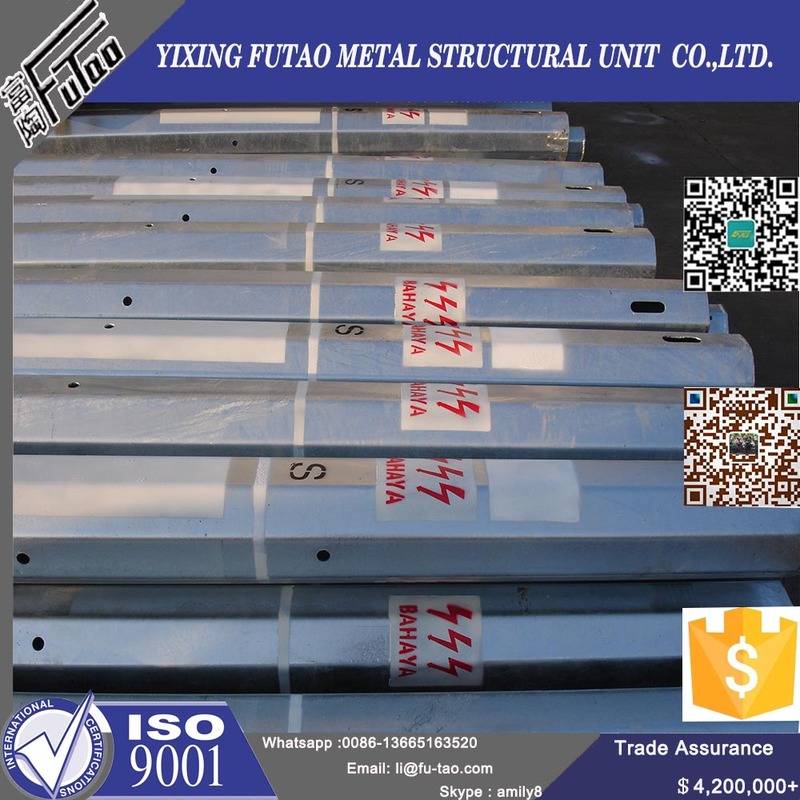 We are China Origin Factory of Galvanized Transmission Tower. If you have any question, please feel free to contact us.